Lenses used to derive insights from data. We are finally at the tipping point where data strategy is the focus for new business ventures. Hooray! I’m not just talking about the tech world. 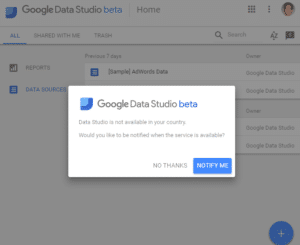 Sure, there are still a few laggards in the digital industry that have recently realized the need to mature their data strategy…and that’s one reason people like us are so busy. By the same token, there are a few businesses that have insights, but don’t have a strategy that allows them to connect the economic motivation for change. This is a failure to communicate the value of recommendations. It’s not for lack of hard work or focus; It’s often because they lack the resources and bandwidth. Ultimately, that’s where vendors and digital marketing consultants like myself can fill the gaps. 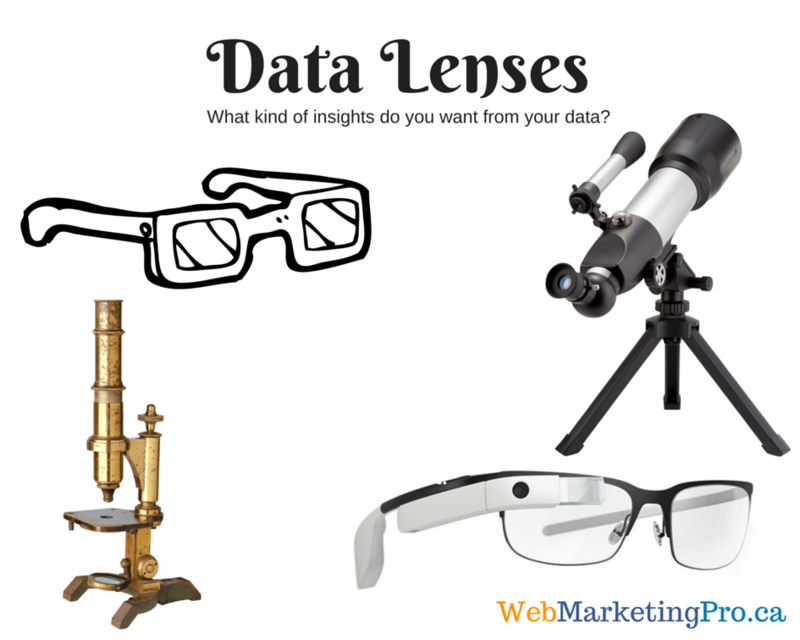 The maturity of a company’s data strategy can be compared to lenses of different sizes. Don’t be blind. Without the basic ability to see the data, you won’t know what is working and what is not working. Use this lens for looking back in time to see trends and set goals for the future. If your telescope is powerful enough you can peer into the trends of your industry and see how you trend against your competition. This lens is for looking at the details associated with the mechanics. Done right, you will be able to derive immediately actionable insights to promote growth of good seeds and quash the growth of poisonous spores. Now you are looking at information in context instead of disparate insights. Qualitative data is ultra-useful for optimizing all aspects of the business, yet too few have a data strategy which allows insights from this data source to be used effectively across the whole organization. Get data out of the silo and stop data hoarding! All these lenses will be used to generate insights. The key enabler to science, including marketing science, is observation. Improve your observational powers and you will enable better analysis. You are limited or enabled by the maturity of your data strategy. In your case, which is it?